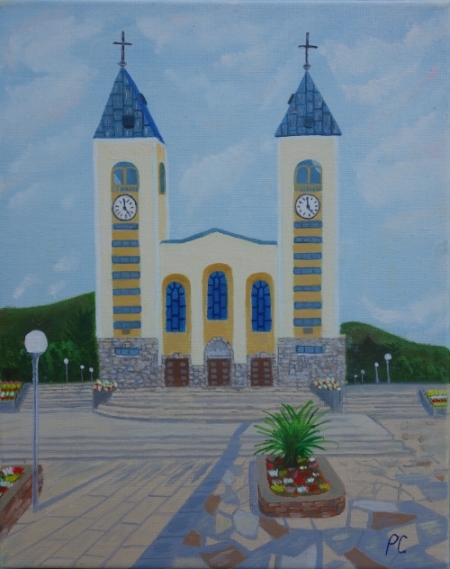 This is an original oil painting print of St. James church Medjugorje. It captures the heart of Medjugorje and the wonderful peace that Our Lady brings. The painting is 12 X 10 inches, and with mount and back 16 X 12 inches. These paint are not blessed.